Home > Estate Planning > Is An Estate Plan the Perfect Holiday Gift? 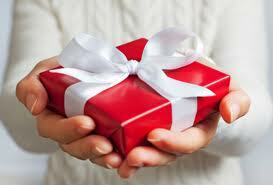 What would you think if you received an estate plan as a gift? Would you be pleased? Or freaked out? I’m an estate planning attorney, so I may be a bit biased, but I think it is a great gift. Here’s why. Intestacy laws provide who will inherit your property if you pass away without a will. Generally, the your “next of kin” will inherit your property. Each state has its own way of determining that based on whether you are married, have children, or your parents are still alive. This may not be such a bad idea. But you have no control over how your things will be dispersed. Who will take care of your finances if you are injured and can’t do it for yourself (even temporarily)? If you (or your adult children) were in an accident and could not manage your finances, who would do it for you? Unless you designate an agent, someone would have to petition the court to appoint a conservator. Without either a conservator or properly appointed agent, someone trying to assist you will not automatically be able to talk to your financial institutions or your medical providers. I think everyone over the age of 18 needs at least an Advance Health Care Directive and Durable General Power of Attorney. If your adult children don’t already have these in place, winter break is a perfect time to do so! If you have any questions, please contact Thatcher | Law or schedule a consultation.